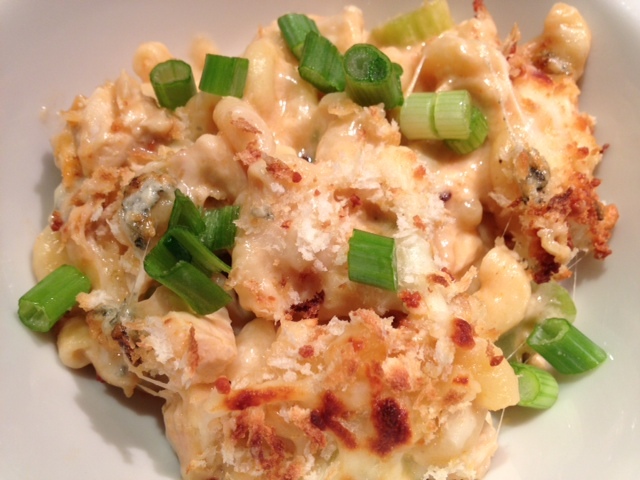 Red Hot Buffalo Chicken Mac & Cheese. 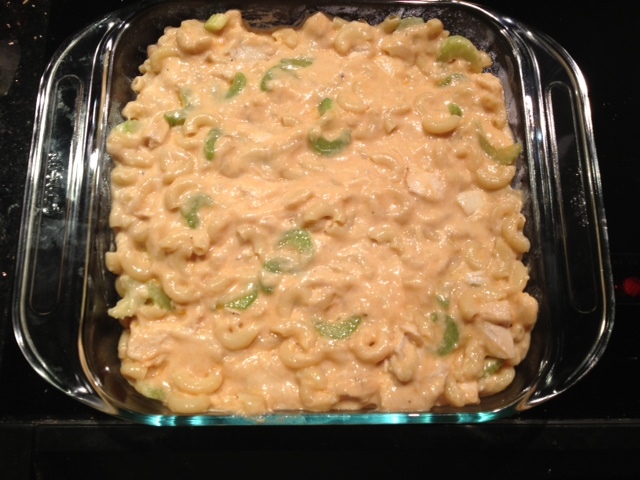 Buffalo Chicken Macaroni & Cheese. 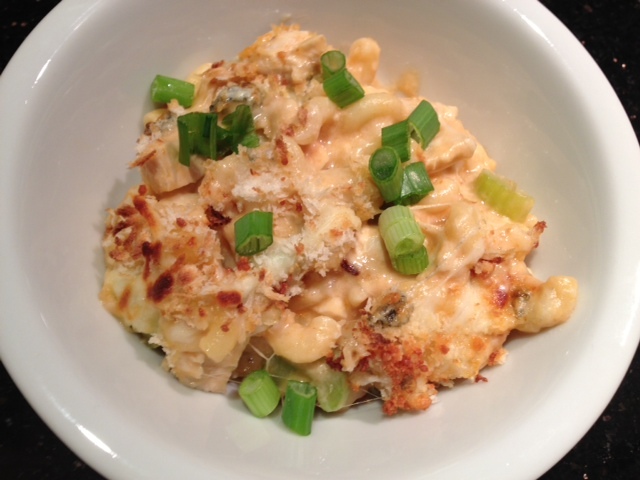 If you like buffalo chicken, then you will love this mac and cheese! This dish is definitely a splurge, but a little bit goes a long way with all the flavor it packs. 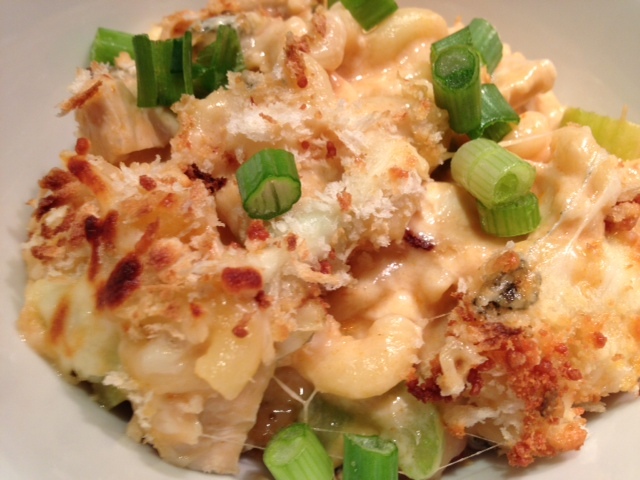 It’s spicy, cheesy, crunchy and delicious! Begin by heating the skim milk on medium heat. Make sure that the milk is hot but does not come to a boil. 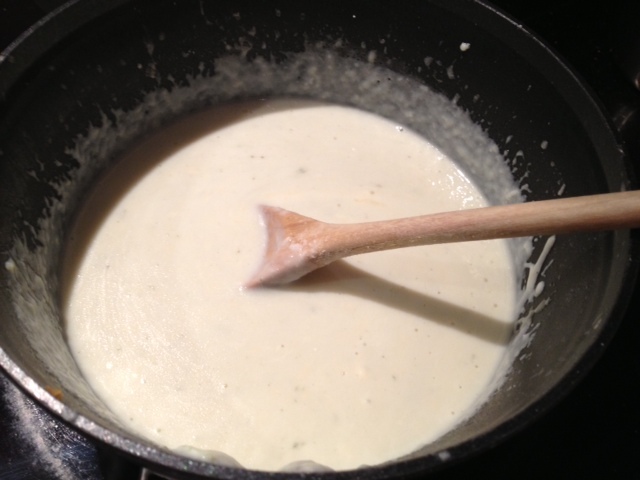 Once the milk is heated through, slowly add in the shredded mozzarella while stirring the milk. Once the mozzarella has melted into the milk, you can add in the Parmesan and blue cheese. Continue to stir to melt the cheeses into the milk. Add in the cornstarch and a dash of garlic salt, continuing to stir. The cornstarch will help to thicken the sauce. Turn the heat down to low while you cook the macaroni. Cook the macaroni as directed on the package. 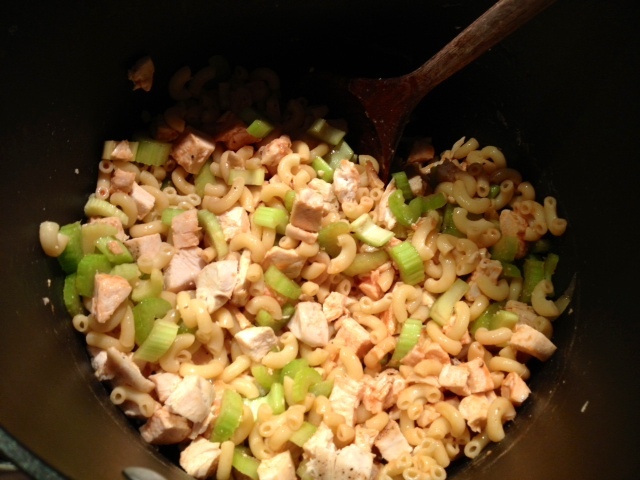 After you’ve drained all excess water, put the cooked macaroni back in the pot and add in the celery, chicken and Frank’s Red Hot. 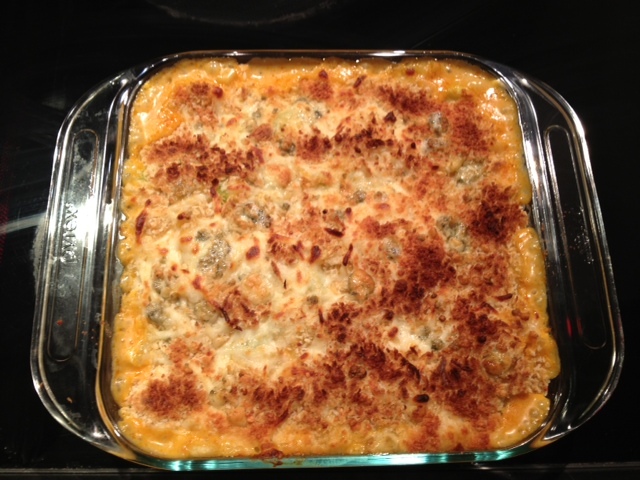 Pour in the cheese sauce and mix well to combine all of the ingredients. 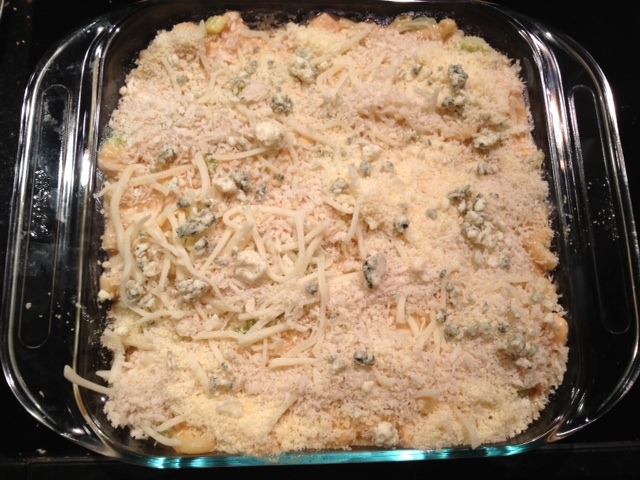 Pour the macaroni mixture into a baking dish and top with the panko bread crumbs along with a bit of the Parmesan, mozzarella and blue cheese. Bake in a 400 degree oven for about 35 minutes, or until the top is browned and bubbly. When serving, top with a small handful of green onions. ← Protein Packed Avocado Chicken Salad.